Crazy stuff. 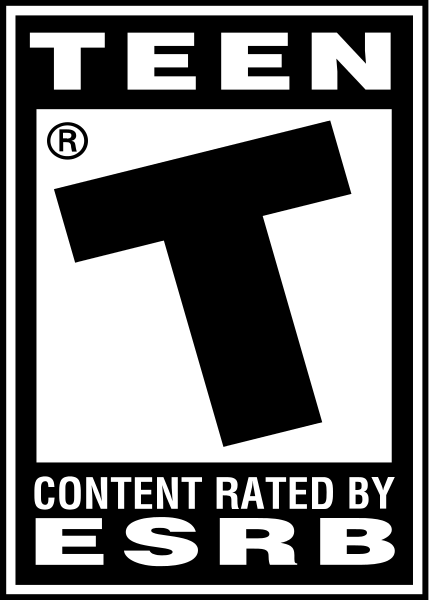 It’s not a first person shooter, and it’s not made by Bungie. But it most definitely is Halo. 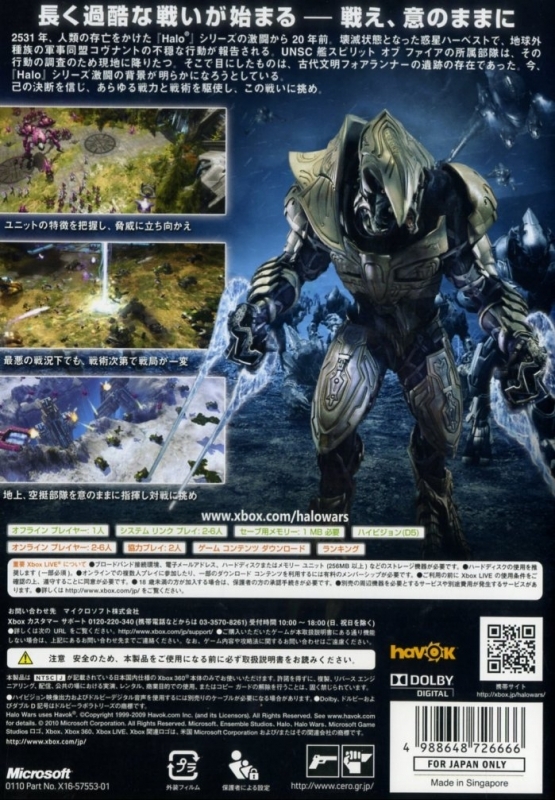 Halo Wars, for the unaware, is a Halo-based real time strategy game created by Ensemble. It’s not just an RTS that’s set in the Halo universe and which dons the Halo name, but also one that actually captures the feel of a Halo game brilliantly. The presentation is generally superb from start to finish, the controls are streamlined and easy to understand, and like all Halo games it’s packed full of familiar extras and unlockables. 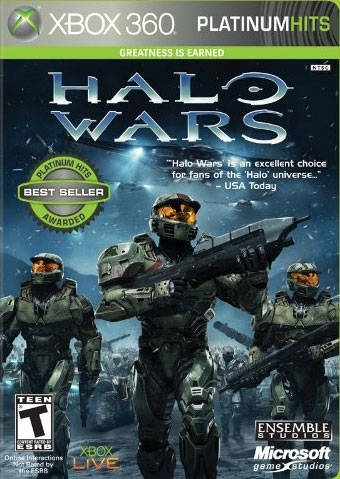 There are a couple of hick-ups along the way, but overall Halo Wars certainly delivers. 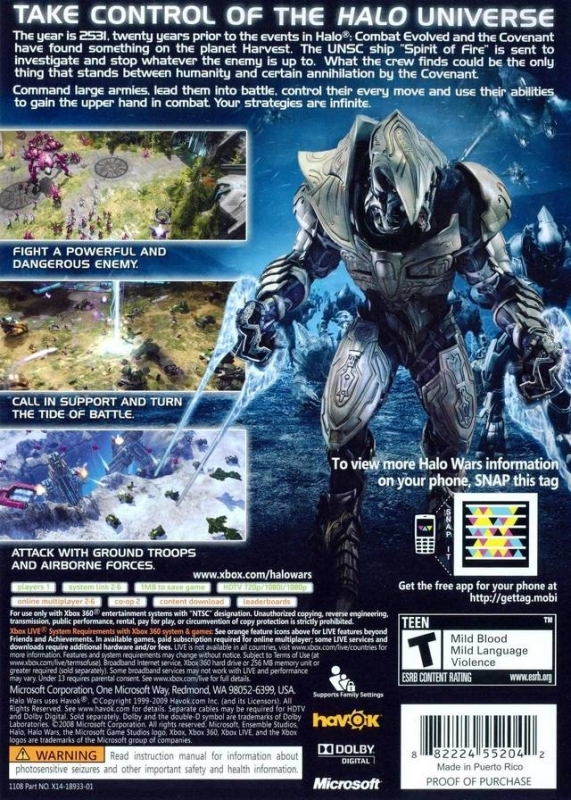 The events in Halo Wars take place a couple of decades before those in the first Halo game. The Covenant have begun their attacks on the outer colonies, beginning with the planet Harvest. Six years later, Harvest is still in the grip of war between the two forces. You follow the crew of the UNSC warship Spirit of Fire as they investigate Covenant activity on Harvest. What they uncover rapidly leads to a much more urgent mission being undertaken. The Spirit of Fire and her crew must attempt to stop the Covenant getting their hands on technology left behind by the now extinct Forerunners - technology which would almost certainly put a swift end to the war. That’s about as much as I feel comfortable revealing because the story really is interesting if you’ve been following the overarching Halo storyline, and I don’t want to spoil it, because the way it’s presented in the game is nothing short of exceptional. As you might expect from a console RTS, gameplay is Halo Wars’ weak point, but perhaps not for the reasons you might expect. The controls are rarely problematic in Halo Wars. Certainly, I would much rather have been playing it with a keyboard and mouse, but Halo Wars has been built explicitly with the 360 controller in mind, so actually playing the game with a controller is an enjoyable experience. The controls themselves are easy to grasp. The analog sticks control the camera’s movement and angle. To select an individual unit or structure you press A, to move or attack with the unit(s) selected you press X, and to use a unit’s special ability you press Y. Selecting a group of units is easy as well – to select all of the units on screen press RB, to select all of your units on the map press LB, and to create a custom squad press and hold A and then sweep over the relevant units in order to group them together. You can then use RT to scroll between the different types of units in your squad. The lack of hotkeys – a staple of the PC RTS - is mitigated by the D-pad, which you can use to quickly scroll between your main base(s) and any groups of units you have on the map. There are obviously limitations with this set-up. For example, scrolling between groups of units and bases with the D-pad can often be a slower process than one would hope for in the middle of a battle, and when you combine this with the fact that the 360’s D-pad is pretty poor at recognising commands, it’s sometimes easier to simply move the camera across the battlefield manually with the analog stick. Another example of these limitations is that you cannot select your building menu from anywhere on the map, instead you have to go back to the base and click on the relevant structure. One other minor gripe I have is that whilst it’s nice to be able to zoom in and out with the camera, I personally find that the camera doesn’t zoom out quite far enough for my liking. These minor issues aside (and they are quite minor issues), the controls work very well. 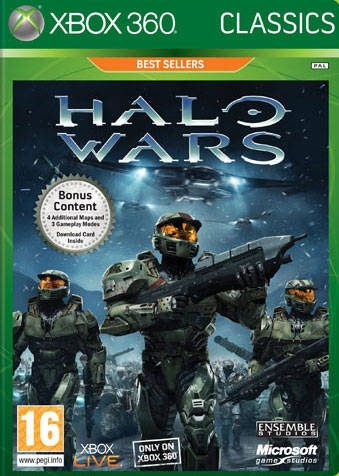 But this in itself comes at a price, because whilst Halo Wars is an accessible and comparatively well-controlled console RTS, it’s also a simplified one. 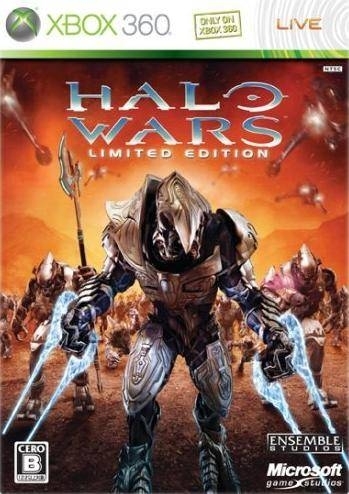 If you’ve never really had a taste for RTS games in the past then Halo Wars is perhaps the game for you because what you get is an RTS that’s easy to grasp, but if you’re a fan of the genre (particularly on the PC) then you may find the lack of variety in units and combat options to be a limitation. For example, there are only two to three different types of vehicles, infantry and aircraft to choose from, as well as a couple of commander-specific special units and special abilities (which vary depending on the commander you opt to play as at the start of the skirmish), so the number of effective tactics available to you is comparatively low. Elsewhere Halo Wars adjusts the genre to suit the console in a very welcome and ingenious way. Its approach to base building is a good example of this. Instead of custom placing structures around the map, each map has a limited number of plots of land where a central hub can be built. These base hubs in turn contain a number of pads once built. If you wish to build a structure you simply go to one of your bases, select an empty pad and then purchase the desired structure. This system keeps your base neatly organised all in one place where it can be easily managed. Purchasing units, upgrades and structures is similarly neatly organised. When you click on one of the aforementioned pads, or a structure, you’re introduced to a wheel-like menu system where all of the options available to you are listed, then all you have to do is select the unit/structure/upgrade you wish to purchase with the left analog stick and the A button. Presentation is very much Halo Wars’ strong point. Halo Wars is host to the most stunning cut scenes I’ve seen on the 360, and in my view they are undoubtedly the best part of the game. 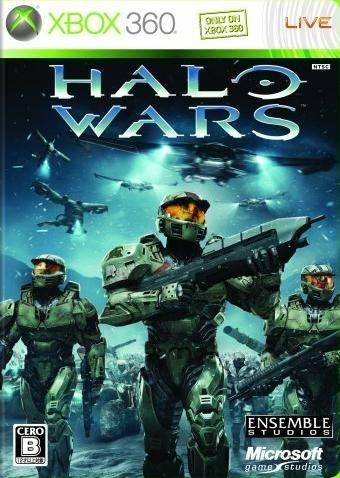 Even if you aren’t really interested in purchasing a Halo RTS then I still recommend you try out the demo just to get a taste of the cut scenes, because I feel the story and the cut scenes themselves are reason enough to buy Halo Wars. At the start of each mission you’re treated to a cut scene, which progresses the story and sets up the mission. Missions themselves are pretty varied, requiring you to adopt different strategies and perform different tasks each time, and this helps to keep the campaign fresh and engaging throughout. Some of the characters aren’t as complex as I would have liked and in some cases they too easily slip into stereotypes, such as Anders the ‘I don’t need looking after, even though we’re surrounded by Covenant’ female scientist who clashes with Commander Forge and his no-nonsense, borderline misogynist attitude. But at least they don’t fall in love... or do they? The story is enjoyable to follow, and its place in the Halo timeline allows for a beautifully serene ending, which makes for a perfect farewell from Ensemble. The voice acting is spot on, and as I’ve already hinted at, the character models are exquisitely detailed in the cut scenes. The music follows on from previous Halo titles. There’s the familiar epic orchestral main track, which features prominently throughout the game, as well as a number of more low-key tracks. It’s not quite as good as the music on offer in Halo 3, but it’s pleasant and suitable nonetheless. The in-game graphics aren’t as impressive as the cut scenes (well, duh), but the feel of the Halo universe is captured really well in the art style. There are the bright, vibrant colours synonymous with the FPS titles, and watching a massive Scarab explode in a purple haze will bring back memories, even if you are seeing it from above this time. 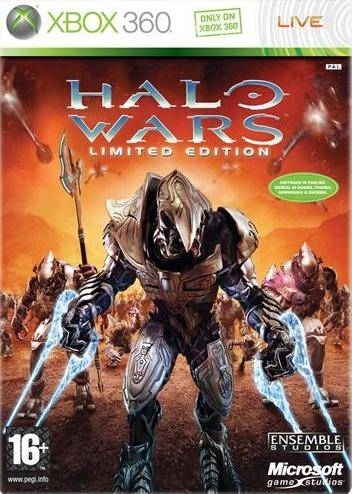 All manner of familiar units are included, from Warthogs to Scarabs to Spartans, each filled with the personalities, animations and sound effects from the previous Halo games (but only in Halo Wars can you command and control every single one of them yourself). The level environments vary nicely as well, from the snow-covered regions of Harvest to the outer hull of the Spirit of Fire herself. From a technical standpoint, Halo Wars does suffer from framerate dips whenever there’s a lot of activity on screen during multiplayer skirmishes. This occasionally happens during the cooperative campaign as well, but is mainly a problem in 3v3 matches where masses of units are locked in battle, causing the action to slow right down. The campaign should take most people around eight hours or so to complete, which is a pretty standard length. What sets Halo Wars’ campaign apart from other RTS campaigns is that it doesn’t feel tacked on at all; the story is cohesive and interesting and the missions are genuinely varied. The campaign feels every bit as important as the multiplayer, if not more important. However, one criticism I have of the campaign is the complete lack of a Covenant campaign. There was a clear opportunity to play part of the game from the Covenant perspective, particularly as you can play as the Covenant in skirmishes and multiplayer, so the absence of such a campaign is disappointing. You can also play the campaign cooperatively via Xbox Live. Here you’ll share a base and resources with your teammate and play through the campaign as you would normally in single player. The advantage of playing cooperatively is that if you’re well organised you can be much more efficient and effective than you would otherwise be completing the campaign on your own. One other benefit is that your score is effectively doubled, making it much easier to achieve some of the more elusive campaign medals. 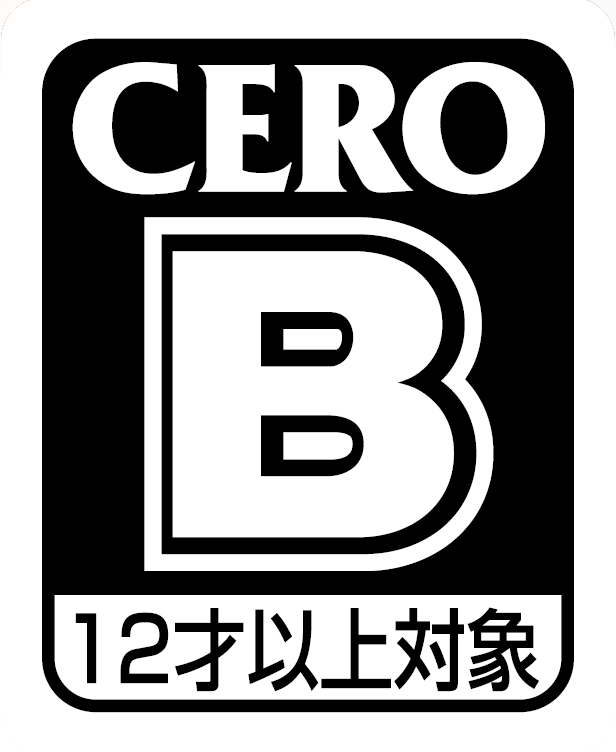 The second multiplayer component is obviously the more important of the two – online and offline skirmishes. In the case of offline skirmishes, you face off against the computer, whilst online you typically play against human opponents (although you can play against the computer in private matches if you so wish), all in typical RTS fashion with up to six players. You can form parties beforehand, so you can play with friends as allies, either in a private match where you can tweak the options to your liking or in a public ranking match where you face off against random opponents. The connection system works well; it doesn’t take too long to get a game and playing with friends is easy and lag free. Unfortunately the matchmaking system doesn’t work well at all when it comes to balancing the rankings of teams. Far too often I would be placed against people that far outranked me at the time. In skirmishes, you play as any one of six leaders from the two different factions (UNSC: Anders, Cutter or Forge. Covenant: Prophet of Regret, Brute Chieftain or the Arbiter). Each leader has its own strengths to play on, so choosing the leader best suited to your style of play and making effective use of their unique abilities and/or units is essential. There are a limited number of effective strategies, particularly in the mid and late game, but there’s plenty of enjoyment to be had online, especially in large skirmish games with teams of similarly skilled players. 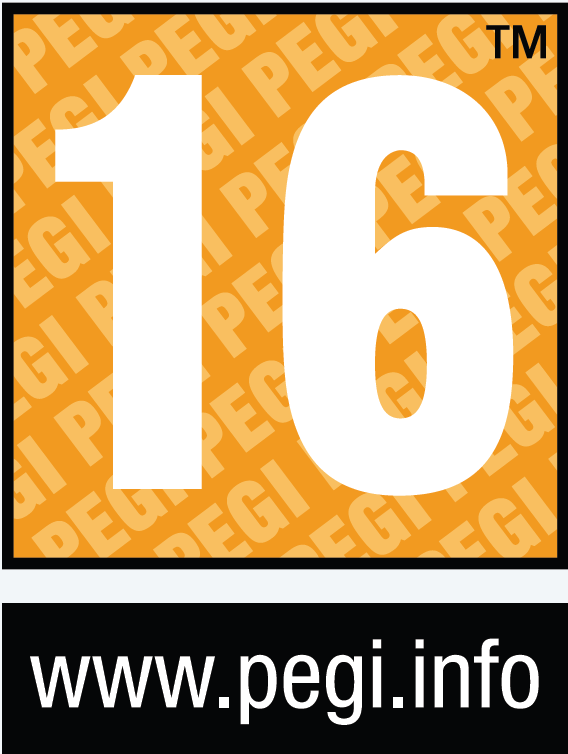 There are 14 maps included with the game (others are now available via DLC), which is a pretty sizeable amount, although they are chosen at random in public matches, so you’ll undoubtedly be playing some of them more times than you would like. Finally, all of your statistics are tracked both in the game (where they’re viewable via the ‘Service Record’ menu) and on the official Halo Wars website. There’s not as much information to be gleaned from the site as there is in the case of Halo 3, but at least you can keep track of your wins and losses, ranking and overall score, and catch up on the details from your most recent matches. 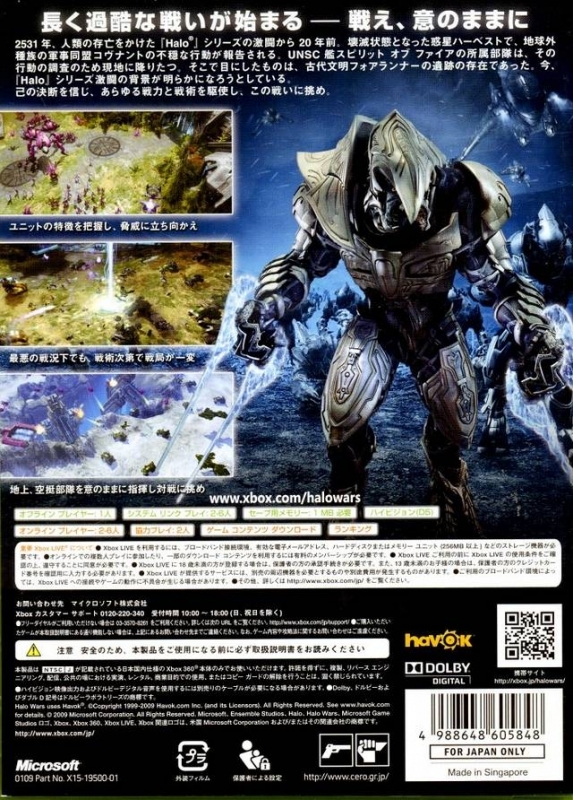 There’s a lot to praise Halo Wars for. 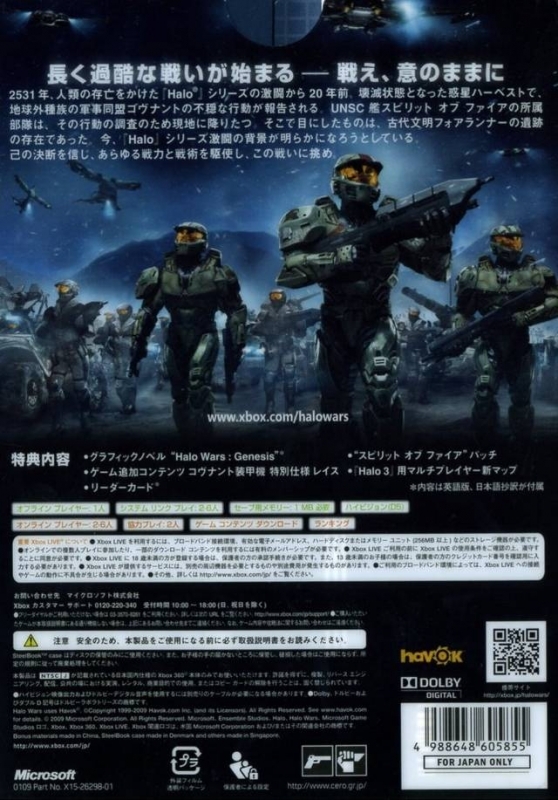 The production values are of the highest standard (as you would expect from a Halo title), with the game’s entire presentation being set firmly within the Halo universe. There’s that infamous Halo art style with its vibrant colour scheme, an epic orchestral soundtrack, and cut scenes that are truly stunning (yes, they really are that good). It’s not the deepest RTS on the market, but the upshot is that it’s an accessible and easy-to-control RTS that’s been well designed with the console in mind. The lack of a Covenant campaign is disappointing, but Halo Wars is still packed full of extras, from the familiar skulls to cooperative play, and even an unlockable timeline with snippets of back story. All of this adds up to a great console RTS game, and it’s undoubtedly a worthy entry in the Halo franchise. 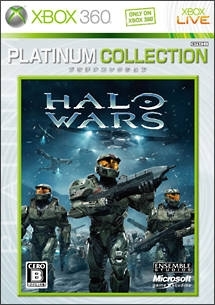 The one Halo I haven't played, I will eventually buy it when I see it for a reasonable price. 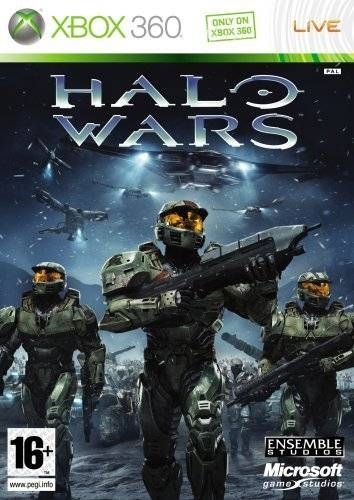 If they make a Halo Wars 2 Id imagine MS will wait for the Xbox to sell for a few years to build up a sizable install base to give this the sales it needs, perhaps release after Halo 5 so it can ride the Halo wave. Yeah I know chunky I don't get why they are not making a Halo Wars 2 it obviously was successful 2 million for an RTS on consoles. It also has a very very active online community. 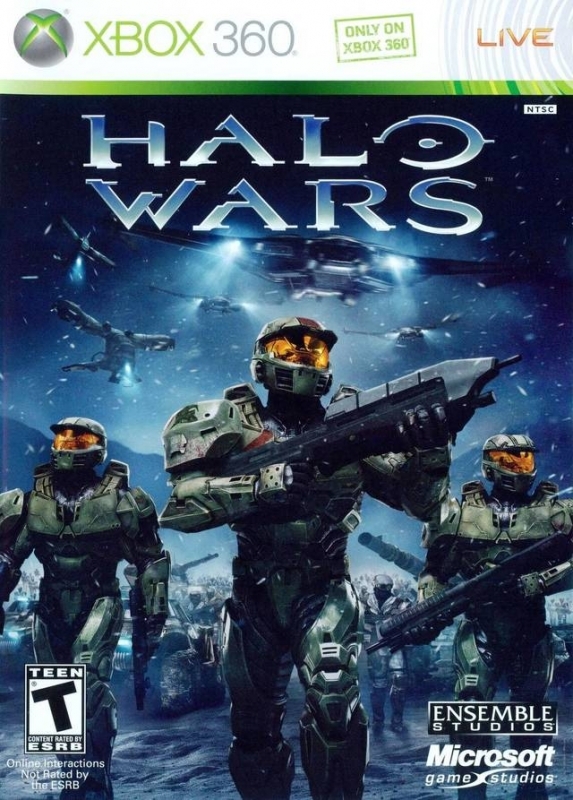 Hopefully they do make a Halo Wars 2 eventually somehow I doubt they ever will unfortunately. Finished the campaign again, great game. Shame they never brought it to the PC.